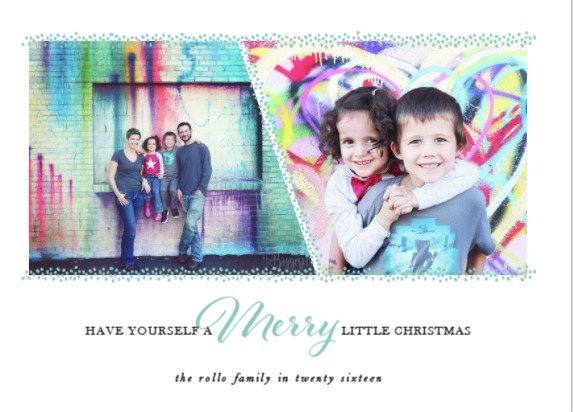 Family Christmas Letter: Making them fun & entertaining! It’s not secret, I LOVE writing and receiving Christmas letters. Something about condensing an entire year into one creatively informative letter is just wonderful to me. I always have fun writing ours each year, and really enjoy reading the letters that we receive as well. I admit, it is a challenge to write a good Christmas letter, here are some key things to keep in mind when writing. 1. Do it! – That may sound silly, but it’s true! Don’t worry about your letter being the best ever, just write it how you would want to read it and send it out! Reconnect with friends and family this year! 2. Share successes without bragging – Example. This year I “bragged” about my son being able to identify most of the letters of the alphabet by sight and also tell you what sound each letter makes. I immediately followed up my bragging with something like this – “his other talents include: throwing screaming tantrums in public, getting into everything he shouldn’t and making messes”. This way I’m able to honestly communicate something I’m proud of my son for accomplishing this year, while also showing that I’m not trying to say he’s perfect or way better than any other child. 3. Write in enough details to make the letter interesting and fun to read, but not so many that the letter ends up being about just one event. 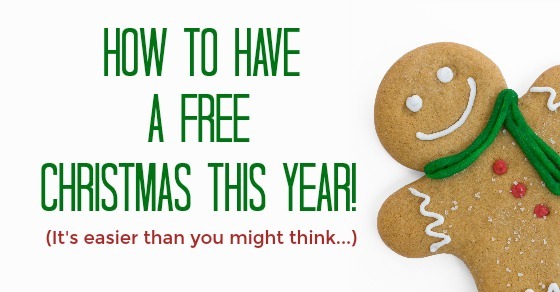 Example: This year, it was really tempting to include baby girl’s birth story. It was a really funny story (read it here), but writing it out would take up too much of our letter, so I kept that part to 3 sentences in order to include more details about other things. 4. Write a bit about your children’s personality – A lot of our family is out of state so each year I try to include a short paragraph about each child’s personality. Not just their likes/dislikes but the type of (little) people they are becoming. I think it is fun to share and (hopefully) fun to read about the kids in that way. 5. Hand write a short personal note on each letter – This is something I didn’t end up doing last year, but I’m going to try my best to do it this year! Adding that little personal touch to let every one know you are thinking of them individually this year, and not just as part of a “to send” list. I think it makes the letters extra special. 6. Write in an unexpected way – Instead of writing a monologue of the past year, do it in a creative manner, write a “top 10 list” from the year or write the letter from the perspective of your young child or an imaginary grouchy neighbor. The sky’s the limit! I spend a long time each year contemplating how to write our letter, but doing them in a creative way always makes the writing (and reading!) more fun! I wrote an entire post sharing different ideas to use, if you need help brainstorming be sure it check it out! 9. Make it easily skim-able – 1 large “paragraph” of text is not easy to read or skim. Break the letter up a little using photos or different headings to make it easy to read (/skim). A lot of people “speed read” Christmas letters, skipping over what they know, and then take the time to focus on parts they want to hear more about make this easy by using proper paragraphs in your letter. 10. Send a photo – Lastly, add that personal touch by sending a family photo or Christmas card along with your letter. Our favorite place to get them is from one of our affiliates, Minted.com! They always have gorgeous, high quality Christmas cards and they’ll even address the envelopes for you. It makes everything so much easier! 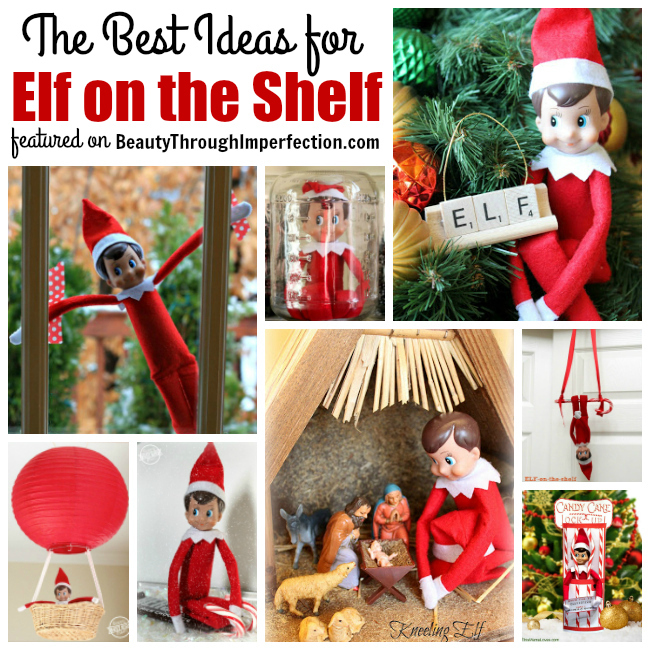 Creative elf ideas for your Christmas season…. Great tips! Thanks for sharing at Thriving Thursday! I love this! I’ve always thought about writing one but never really knew what to write (even though I receive several a year…weird, I know). I may just get around to writing one this year! I think writing letters to friends and family is one of the best gifts to give. Most people truly do appreciate the time and sentiment behind a well written letter. I still have pen pals, and I have included a letter opener as a gift for a few of the ones I write frequently. I think your tips are fantastic, and I think I may try a “top 10 list” in my letter this year. I also agree that making them personal really gives it more sentimental value. Thanks for the share! I never wrote Christmas letters, but this post inspired me to start doing it, thanks for sharing! I am going to get started on mine right away so I’ll have them ready to mail in Dec. Thanks, dear heart, for the great tips…. Paula, these are such great tips and with half the year over and the other half of the year quickly approaching, I think you posted this at the perfect time! Thanks for sharing! This is a great guide! One of my aunts used to send a Christmas letter out each year, and my mom loved reading it and catching up on things. Fantastic guide! I always seem to end up with writer’s block when it comes time for the Christmas letter! #2 is my favorite. Hubby just hates those ‘brag letters’ as he calls them. I don’t mind them so much, but some are definitely better than others. One of our neighbors from our neighborhood sent one that they tied each person in their family to a song and wrote a brief statement as to why. For instance, the husbands might be ‘Silver Bells’ because he was starting to turn grey. I know that’s not what his was, but that’s what popped into my head. lol! Anyway, it was just darling and I enjoyed reading it so much! Thanks for sharing with SYC. I have never written one of these letters, but I enjoy getting them from other families. Maybe that is something new that I need to try. Great suggestions for writing one!! Thanks so much for linking up on Tutorial Thursdays Linky Party. Please take a moment to cast your vote on your favourite link from last week :) I look forward to seeing what you share with us this tomorrow. Great tips! i really want to start writing a letter as a lot of my husbands family is in the UK. I;ll certainly keep these things in mind! What a fantastic idea. Yearly newsletters aren’t that big a thing in Australia, well at least not in my family. This year I might try to start a new tradition. Thank you. Great tips, Paula! I tend to write less and let the pictures do the talking. Either way, I look forward to the Christmas letters I receive from friends and family every year! Thank you for the tips this is a lovely idea. LOVE this! I have Always wanted to write one of those Pretentious Christmas letters,lol Thanks a bunch for the inspiration! Good tips. Visiting from SYC. Glad to have found your lovely blog! These are really great tips. I personally love writing and sending Christmas letters.. It is so disappointing to get a card from someone you have not heard from in a long time with absolutely nothing personal on it, not even a quick hello. I am featuring this post today as the Dare to Share Feature of the Day.. :) You can see your feature here. 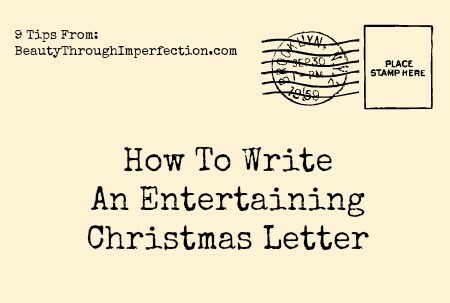 http://www.pamspartyandpracticaltips.com/2013/11/how-to-write-amazing-christmas-letter.html Thanks so much for linking up! I think my hubby would leave me if I ever wrote a Christmas letter. lol! They are his pet peeve. I really don’t mind reading them and some are very fun. One of my previous neighbors linked each family member to a Christmas song that tied in with what ever they happened to be doing. I thought it was so fun! Hubby won’t read them. Must admit, we have received some that sound like nothing more than a brag fest. Thanks for sharing these tips with SYC. I must admit, I don’t love receiving Christmas letters. I love personalized letters and cards, but so often the Christmas mail winds up being a printout that I receive along with 50 other people that’s not at all warm and especially addressed to me. Maybe I’m a little selfish expecting folks to write out their cards one by one, but to be sincere, that’s what I prefer and what I mail out. Update: I missed tip #5. Sorry for the rant. Definitely, definitely make #5 a highlight of the letter this year. Thanks for the tips, Paula. I’ll be featuring this post for this week’s Merriest Blog Hop party! Thanks so much for linking up AND promoting it! You can always email me if you have questions too! 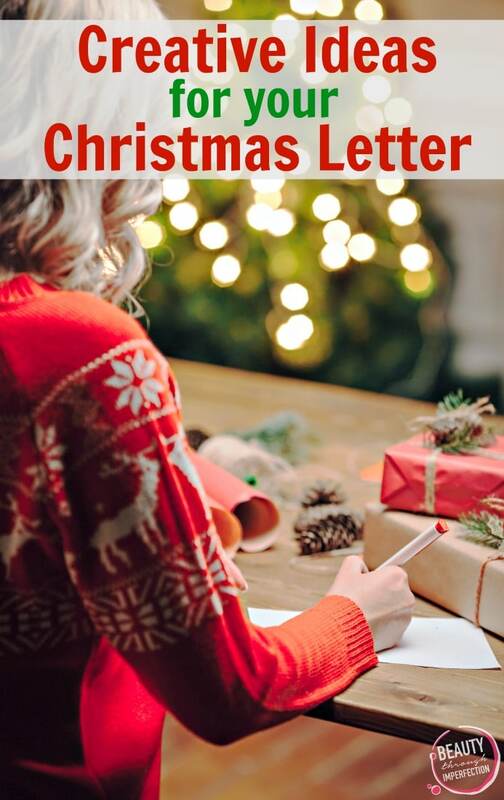 Hey Buddy!, I found this information for you: "How to write an amazing Christmas letter". Here is the website link: https://www.beautythroughimperfection.com/how-to-write-an-amazing-christmas-letter/. Thank you.